The situation: advert in magazine jumps out at you; checking bank balance. 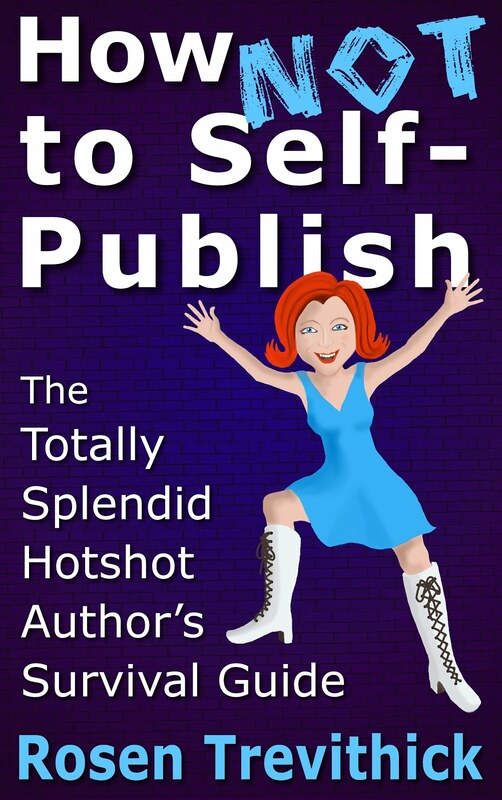 You know you’re just one break away from becoming a totally splendid hotshot author. If only there was something you could do to get noticed. Then you see it, ‘Really Rather Prestigious Romantic Short Story Competition’ advertised in a writing magazine. You’re a romance writer! A really rather prestigious award is just what your career needs to take it to the next level. Sure, it costs £100 to enter, but you won’t notice that £100 when you’re a millionaire, right? Unfortunately, ninety per cent of authors believe they are one break away from becoming a bestselling author. Many competitions that cost money to enter are scams that prey on authors’ ambitions and offer very little exposure in exchange. Yes, competitions have running costs, but very few are so expensive to run that they need £100 per entrant. In many cases, fees are used to line the pockets of the organisers rather than promote the winners. This would be more palatable in an industry with more money to go around, but authors make precious little money as it is, without blowing their meagre royalties on false optimism. All too often the middle man makes more money from authors than authors make in royalties. Boards that claim to accredit indie books for a fee, magazines that make you pay to be reviewed, and websites that charge to list books, are other examples of organisations that might try to exploit your ambition in a way that makes you invest a lot more than your likely return. Of course, there are reputable resources that will help you promote your book in a way that’s mutually beneficial. Many competitions are legitimate and widely recognised. However, consider anything that asks for money very carefully. How long is your short story? Are the judges paid? If so, how many judges have they employed? What is the competition prize? Has anybody sponsored the competition? (If so, why is it so expensive to enter?) Is the competition reputable? Has it been mentioned in any newspapers? If the prize is small, the fee exceeds what a reasonable person would charge to read your story and the only press coverage is adverts bought by the organisers, then it’s likely that the competition is not the big break you’re looking for. Instead, look for competitions that have a time-proven record of boosting careers, and competitions that are free to enter. Invest your money in more concrete opportunities such as professional editing and cover design. Seek freelancers through recommendations rather than responding to adverts. Avoid anything that bills itself as ‘Really Rather Prestigious’.